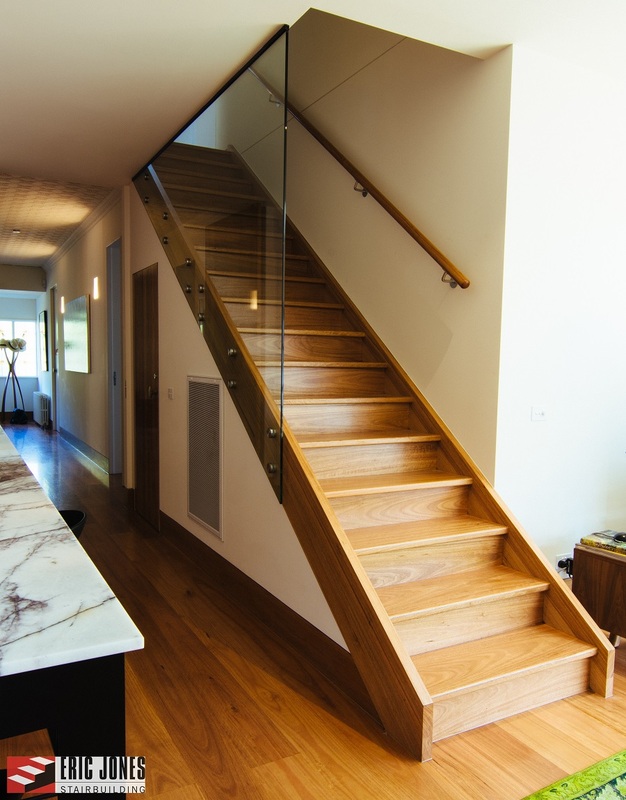 As a staircase manufacturer , Eric Jones will take care of the entire manufacturing process, from the planning to the installation. 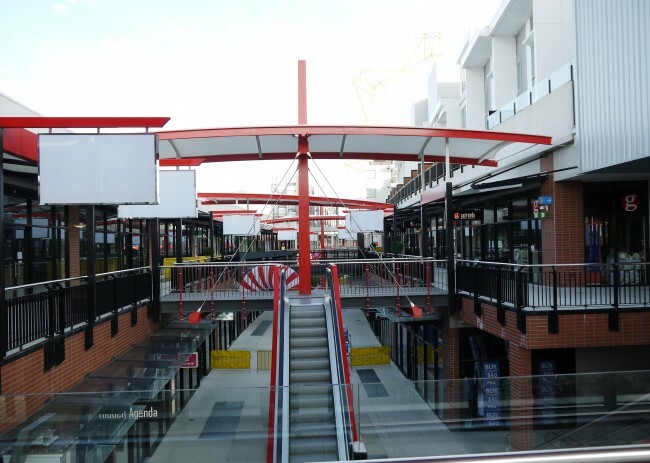 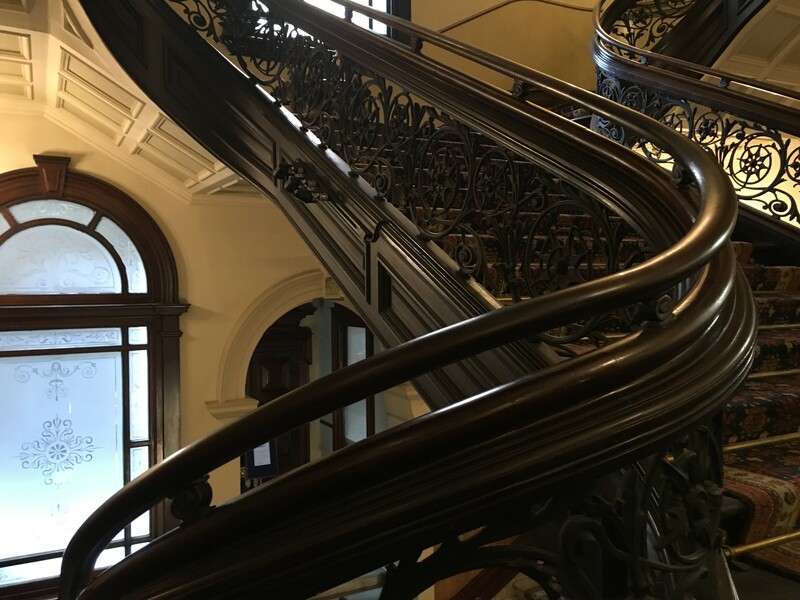 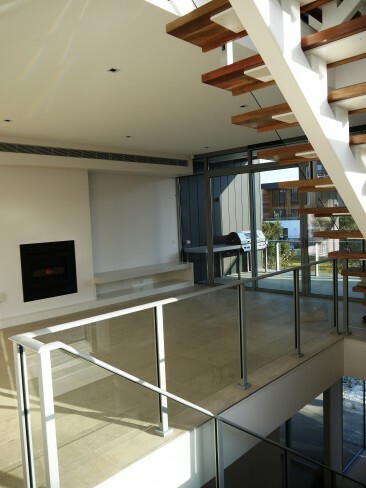 Whether you simply need new balustrades or a multi-level stairway, you can count on Eric Jones, with our in-house manufacturing and installation of steel, timber and glass. 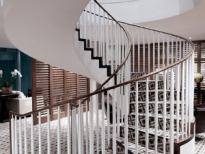 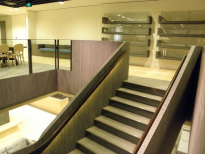 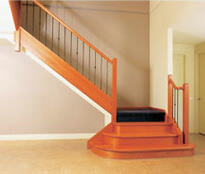 A quality staircase manufacturer can produce stairs, balustrading, and railing from a variety of materials. 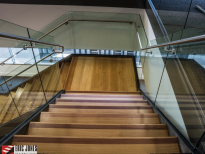 Glass and steel are very popular choices for commercial development, whilst timber can give your building a classic look that works well for traditional settings. 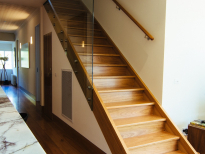 There are many design options available, ranging from Victorian to modern. 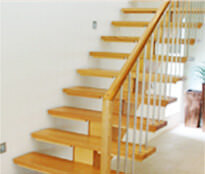 For limited space, a Flared or Open String design is recommended. 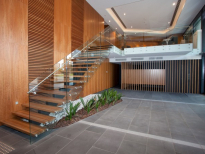 Take a look at our gallery to see what styles and designs we offer. 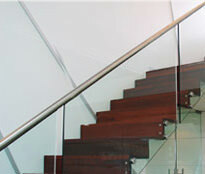 Stainless steel is a sturdy material that is very easy to clean and maintain. 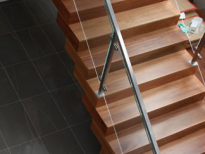 At Eric Jones, we have our own in-house steel manufacturing capabilities. 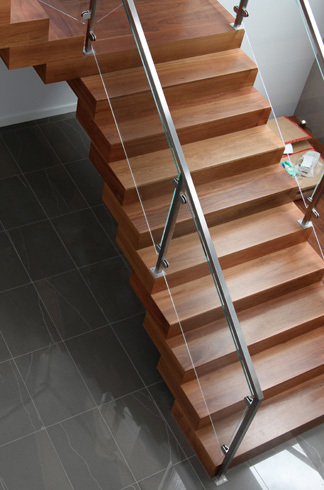 Glass is a sleek and contemporary choice. 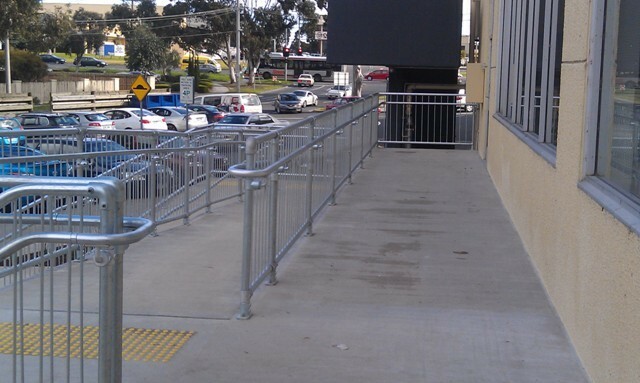 It works well with most industrial settings. 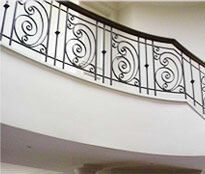 Wrought iron creates an old-fashioned look that is ideal for bed & breakfasts and restaurants. 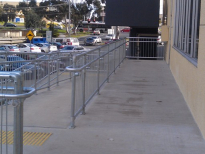 It’s also a good choice for exterior balustrades. 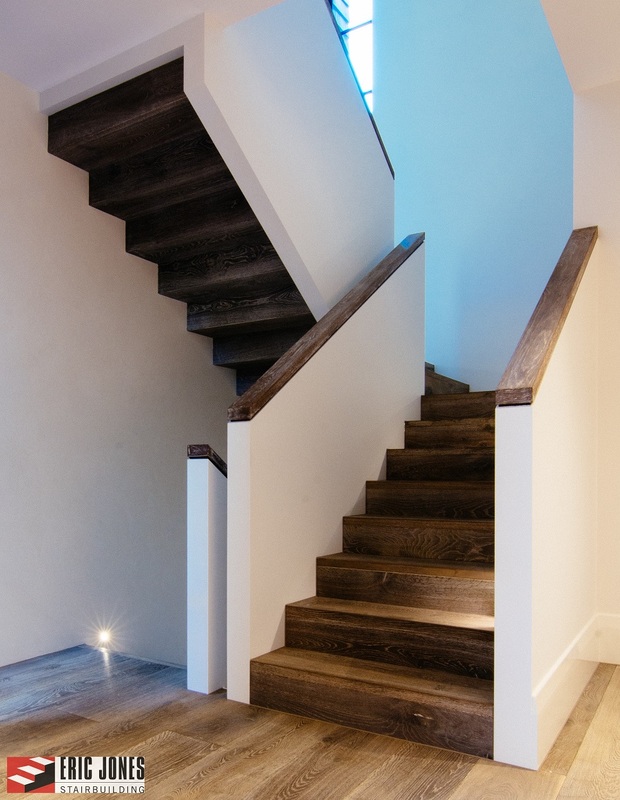 Timber is a traditional choice. 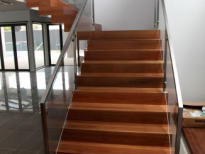 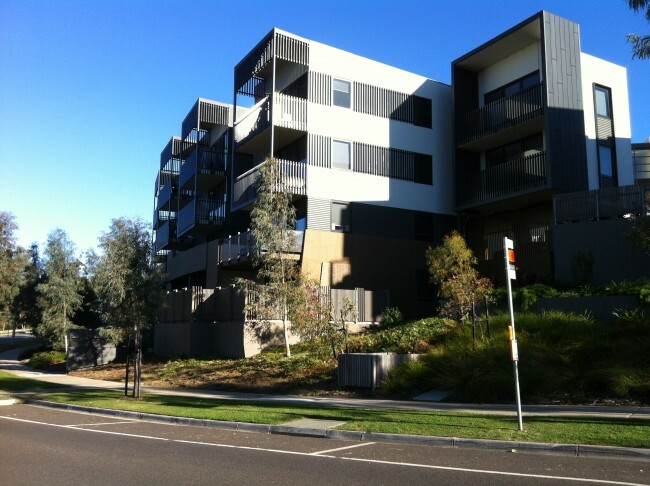 We offer a variety of timber options, including European Beech, Pine, Sydney Blue Gum, Red Iron Bark, and more. 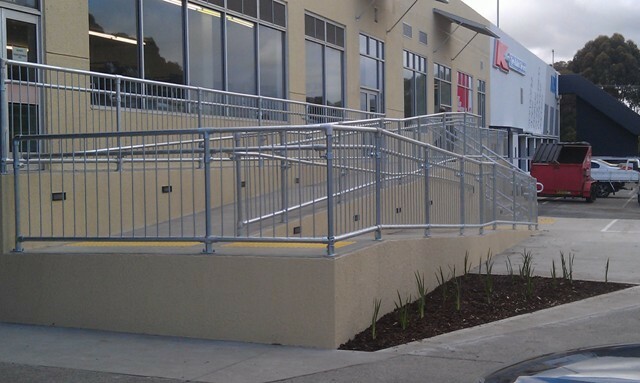 We are EBA compliant with commercial projects. 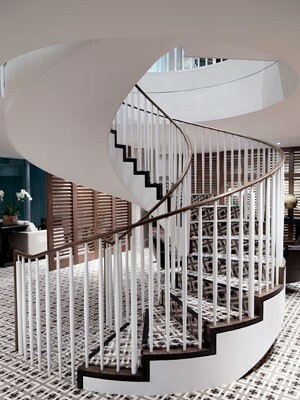 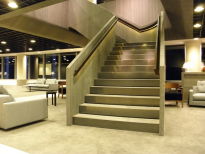 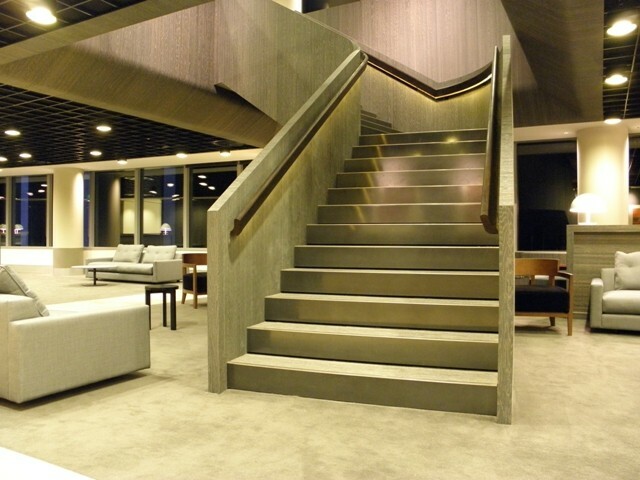 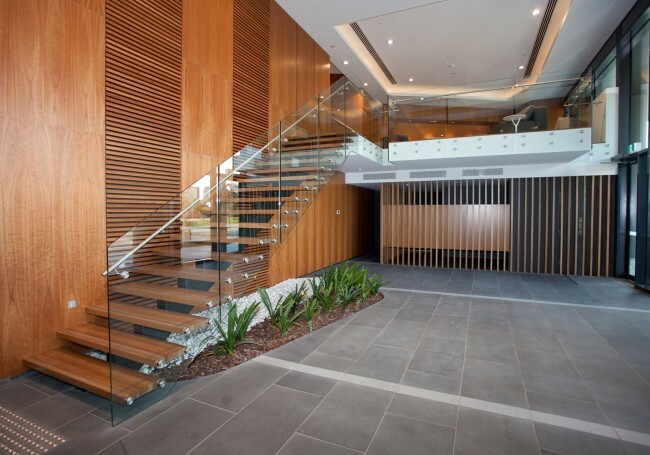 Since 1947, we have been Victoria’s number one staircase manufacturer for commercial properties. 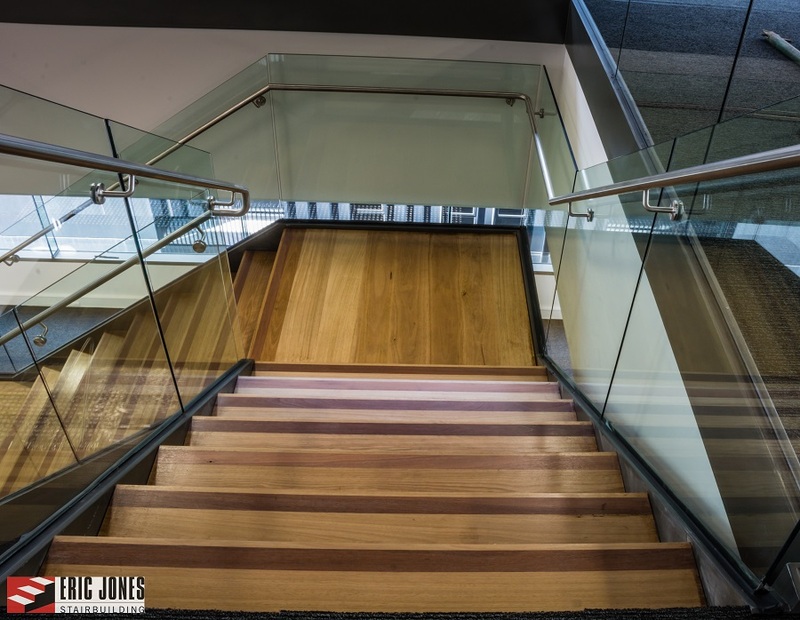 Some of our clients include the State Athletics Centre, BHP Billiton, State Library, Camberwell Town Hall, Melbourne Recital Centre and Monash University. 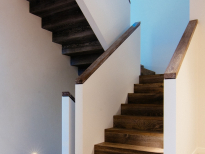 Our company is a member of the Master Builder Association and pride ourselves on upholding the highest standards of quality. 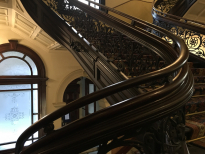 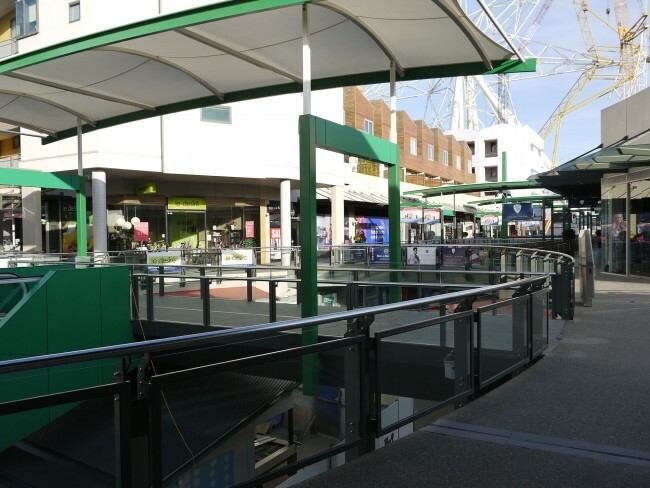 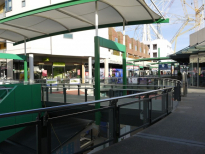 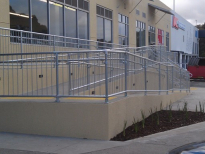 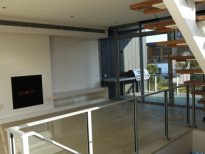 Feel free to fill out our quotation request form if you are interested in balustrades, staircase kits, and the best handrails Melbourne has to offer. 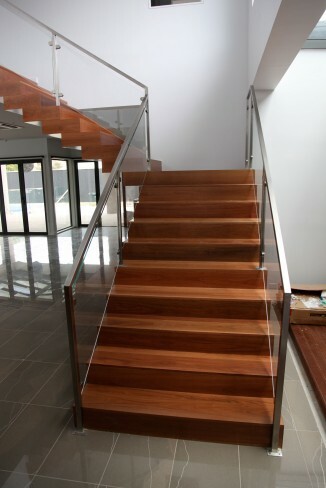 You can also call us at (03) 9874 0411.